Posted on April 8, 2012, in haiku, Haiku Heights, NaPoWriMo, senryu, The Poetry Pantry, We Write Poems. Bookmark the permalink. 12 Comments. I enjoyed your set of haiku today. My favorites are the third and the final. Both because I can identify well with the subjects and as always I love your language. I have often gone “clamming” and I have my favorite spot in Hawaii. Each one deserves simply… WOW!!!! Nice. I especially like the second. The seashore on a sunny day is like butter and sugar, and it gets in everything! Lovely haiku series on this prompt. Loved reading it. Very nice. I like that there are so many ways to approach the subject. Thanks for sharing! I love these. You’re so far away from the seashore! Your haiku never fail to delight. I like each and every one. They’re all so different. The first one is my favourite! 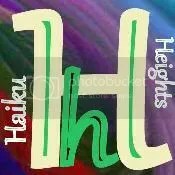 Amazing haiku series!! !